You may know Philip best as the managing editor of the Academica Top Ten, a daily Canadian higher ed news digest with over 27K subscribers. 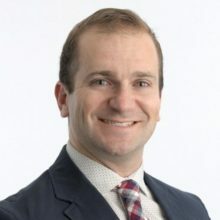 Through his work supporting Academica’s online content and proprietary research, Philip has become deeply invested in the top trends and developments impacting marketing and enrolment strategy in Canada’s higher ed landscape. You can find the Academica Top Ten on Twitter at @AcademicaTopTen.